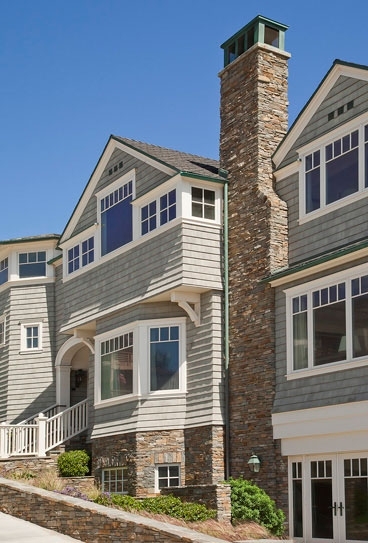 Our clients were in search of a confident vision for their family retreat on the Strand in Manhattan Beach, and we helped them find it in the great tradition of American seaside shingled architecture. 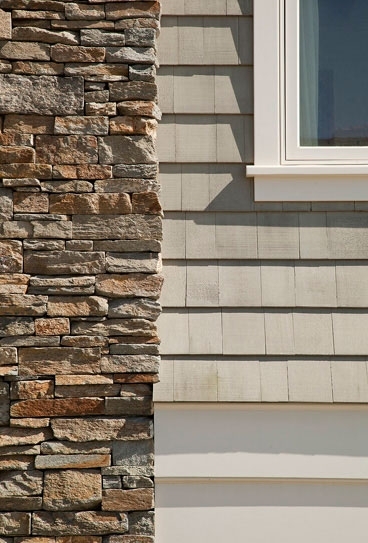 This residence emerges clearly from that lineage of finely detailed, exuberant coastal houses of the American Northeast, yet the language of the architecture here has been fine-tuned for the California climate and lifestyle. There is something about the character and image of this great style that simply feels right in this context, opening to the sweeping sands and salty spray of the Pacific. At the corner of a Manhattan Beach walkstreet and the busy Strand, this gracious house commands a panoramic view from Palos Verdes to Point Dume. 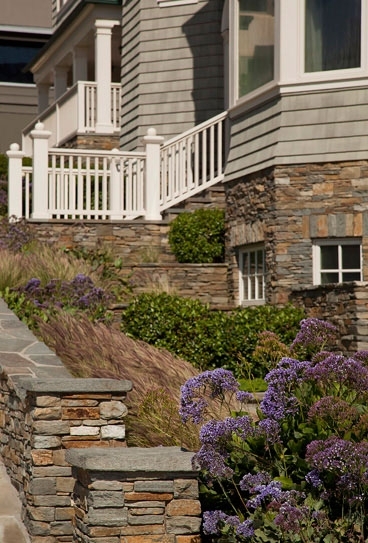 An engaging palette of crisp white woodwork, weathered shingle siding and textured stone masonry are the hallmark of this brand of easy-going coastal classicism. Broad sliding doors of the main level Great Room open to a comfortable Grand Terrace, overlooking the beach below. The Strand level features a spacious Beach Room, with guest, cooking and dining accommodations. The "lighthouse" stair leads to the upper floor family sanctuary, with four bedrooms, including the secluded Master Bedroom suite, occupying the commanding "prow" of the house, surveying the beach and the comforting sounds of the surf beyond.